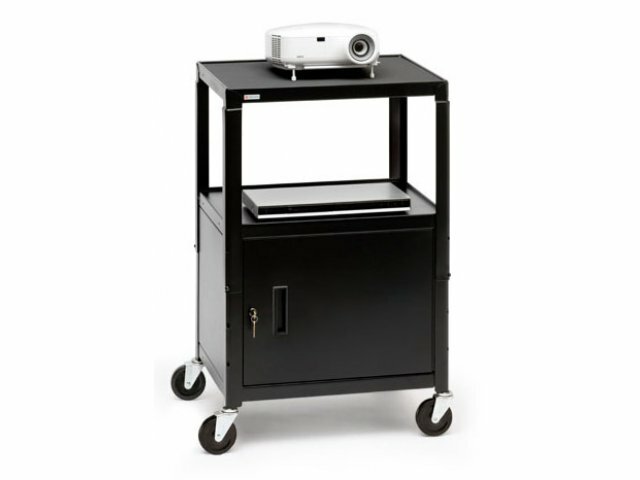 These steel adjustable AV cabinet-carts will safely store and transport your valuable AV equipment. Bretford has created a unique line of office furniture that is exceedingly practical and very attractive. 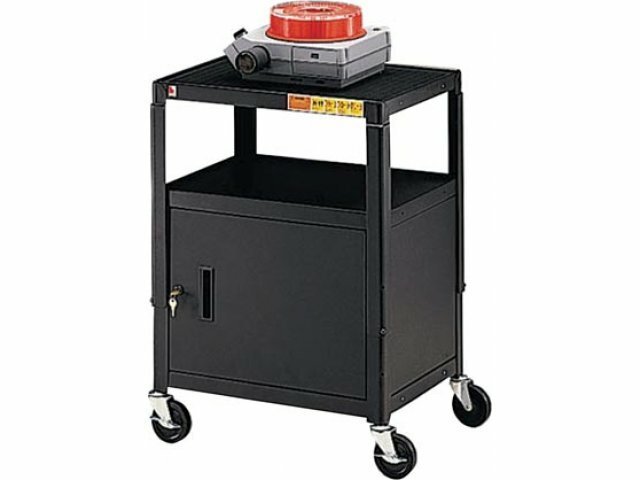 Included in their wide selection are portable training tables, AV carts, carts for overhead projectors, table dollies, workcenters and computer tables. Safe: Built-in lockable compartment for secure storage. Strong: All-welded heavy-gauge steel construction. Adjustable: Adjustable shelf for easy storage. Secure: Non-slip textured rubber pad keeps monitors and equipment secure. 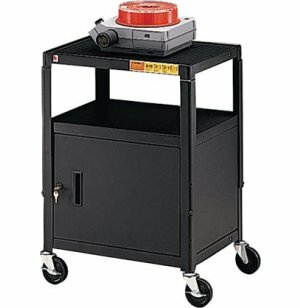 Mobile: Large 4" casters, 2 locking. Convenient: Cabinet has rear grommet hole for easier power cord routing. Cabinet Interior: 23 1/2"W x 17 1/2"D x 15 1/2"H.